Jimenez Consulting Solutions was engaged by a Clinically Integrated Network (CIN) to develop and implement its IT strategy. This involved evaluating and selecting vendors for its planned Health Information Exchange (HIE), Clinical Data Repository (CDR), Population Health Management (PHM), Secure Texting, Provider Attestation, Referral Management, and Risk Management solutions. We provided program management, planning, roadmap creation, vendor contract development and negotiation, requirements definition, implementation project management, and test management for the implementations throughout a hospital network and 170+ practices. This allowed our client to enhance their in-network referrals and increase patient population and risk management as well as internal network communication and collaboration. JCS was engaged by a Clinically Integrated Network (CIN), that was approved as an Accountable Care Organization (ACO) to participate in CMS’s Medicare Shared Savings Program (MSSP), to run their daily ACO operations, develop and execute the strategy to report on the CMS-required quality measures, and develop and execute the strategy to incorporate ACO requirements into daily patient care management and the operations of the clinically integrated network. We continue to oversee monthly processing of Medicare claims data (CCLF), quarterly processing of ACO assigned beneficiary lists, daily enrollment questions, working with tools to optimize ACO operations and incorporate care into the ACO beneficiary population, and report on ACO quality measures against which shared savings are calculated. We helped our client successfully complete the 2014 quality reporting process and become the only MSSP ACO in Arizona to achieve CMS shared savings in the 2014 performance year. Jimenez Consulting Solutions was engaged in the foundation, ramp up, and implementation of IT and business solutions for Arizona's only health insurance co-op. We were engaged in every part of the business in defining solutions and/or processes from sales and marketing through marketplace applications and integration, enrollment and reconciliation (individual and group), premium billing and payments, benefit and plan design, provider network operations, claims processing, medical management, customer service, grievances and appeals, quality management, finance, human resources, accounting, and corporate reporting. This effort included development of RFPs and RFIs as well as the assessment and selection of a variety of IT vendor partners and solutions to support enrollment, web design and implementation (including member, provider, and broker portals as well as the corporate website), CRM, medical management, electronic banking solutions, call center technologies, data warehouse, human resources, and IT infrastructure. Jimenez Consulting Solutions was engaged to manage the selection and implementation of a cloud storage solution which supported storage, transmission, retrieval, and viewing of digital images from picture archive and communications systems (PACS) for two large hospitals. Images were automatically moved to fully redundant, geographically remote, backup storage facilities which are DICOM and HIPAA compliant. Primary storage consisted of RAID 5 disk array. Secondary storage consisted of a mobile disk array, which was used to provide rapid restoration of the archived data in the event of a disaster incident. IT strategy - "make or buy"
Completing a current state review of business process documentation to identify business process improvement recommendations. Developing requirements in support of a future systems selection process and establishing a standard template and level of detail for requirement documentation that was applied in a consistent manner for similar subsequent projects occurring at other subsidiaries outside the United States. Providing project management by developing the detailed project plan, tracking the project budget, issues and risks, and providing weekly status reports. Jimenez Consulting Solutions was engaged by a large, global, higher education company to standardize, streamline, and improve their processes as well as define the information technology infrastructure and support for their current subsidiaries. They also desired to have a standard systems and process architecture in place to more easily and quickly integrate future acquisitions into their business model. 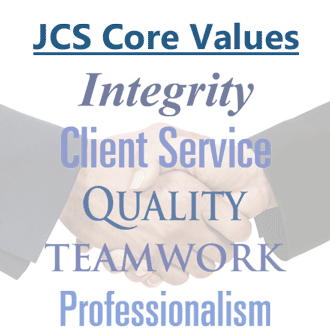 Recognizing that the current systems' landscape would not support this vision because it was unique and varied across each of the four current subsidiaries, JCS was engaged to develop an IT roadmap and perform an enterprise system selection for a dozen core university information systems. Gathered information from business and technical resources related to applications, databases, and interfaces currently in use. Conducted on-site visits to both universities to hold in-person interviews and system demonstrations. Gathered and reviewed existing client system documentation. Developed a current state inventory using information gathered from university documentation and SME interviews. Conducted a gap analysis mapping current state applications to future state applications. The gap analysis also provided a detailed description of migration plan actions and considerations. Developed a systems diagram of the current state inventory and logical system architecture for each university. The diagrams displayed all applications, databases, and interfaces currently in use at each of the two universities. Managed the implementation of a Customer Service Reporting System to analyze multi-channel customer contact data for a national managed care contact center. The reporting system (Broadbase) captured operational data from a Clarify Customer Service application and other customer channels including interactive voice response (IVR) and web to present a single integrated view of customer interactions. JCS engaged with a local door manufacturer, which was small, growing rapidly, and preparing to expand nationwide. 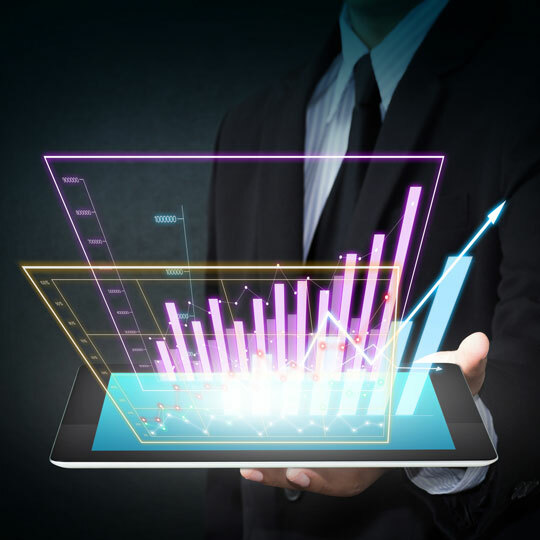 They were using various custom MS Access databases for order management and reporting, using QuickBooks to support their accounting processes, and outsourcing their payroll function. They were also in the initial phases of business out their manufacturing floors and considering the need for a more robust, integrated system to support their expansion. Managed custom development efforts to support the distribution centers of a national health products retailer. In this effort, we defined requirements and designed, developed, tested, and implemented various custom solutions. These projects encompassed the order-to-receipt process for goods shipped to the distribution centers and then shipped from the distribution centers to retail stores. Jimenez Consulting Solutions was engaged large healthcare network to manage the effort to implement a High-Definition Video Conferencing (HDVC) solution across five (5) of their corporate offices in order to decrease travel costs. This involved interacting with executive level management, coordinating with the technical resources, managing all issues and resolutions, and implementing the complex solution across facilities. Engaged by a large cable/broadband provider to lead a call center integration program the goal of which was to improve customer service. The scope of the project included Interactive Voice Response (IVR), Automated Call Distributor (ACD), Computer Telephony Integration (CTI) Middleware, Predictive Dialer, and front-end applications which automated screen pops. The team was comprised of corporate and regional clients and several vendors. Managed the software selection process for a billing and subscriber management sustem to support multiple products and services in several call centers for a large broadband provider. This effort included validating and enhance business, functional, technical, and organizational requirements, developing an RFP, gathering key vendor information, assessing scripted demos, conducting site vists, consolidating findings, and providing a recommendation to the client. Subsequently managed integration and implementation activities for the initial implementation in a 300-seat call center. The implementation effort included configuring the solution, defining modicfications, defining interfaces, converting data, testing the application, and rolling out the solution.